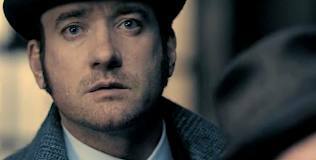 So…I have caught up on the Ripper Street series. I confess, I only began watching it because of the lead, Matthew Macfayden, who is well-known as Mr Darcy in the 2005 pride and prejudice movie. So…I finished series 1 and I felt that it gaped for a second series. Apparently a second series has already been comissioned! Sorry about the really weird title of this post. I was just watching the end of s1 e4 of Cold Feet. And it made me think of the famed end of Downton Abbey, series 3, that people talked about for weeks and are still talking about. The deaths of characters in costume dramas and the deaths of characters in sitcoms (not soaps) are very different. Cold Feet, Pilot and eps 1-3. So I set myself a target to watch all these episodes again. Because unfortunately I have only watched them all the way through once or twice. So…I sat through the pilot episode and the first three main episodes. I’ve always thought of series such as Cold Feet to be high-class soap-operas, but with more developed plotlines and better sets. Its a multi-thread series, intervweaving the stories of the three couples effortlessly as they conquer everyday life. I know this isn’t technically a movie, but I love the series so much because its so…real…you manage to feel emotions for the characters and their situations. Maybe when I’ve tackled the whole series then I can look at it through the eyes of someone who is so fascinated by human nature, then I can write a blog post. Cold Feet is about three couples: there’s the posh couple, Karen and David who seem to have it all but have their own troubles beneath the highly glossed surface…there’s Pete and Jenny, the couple who have troubles with their marriage but always find each other in the end, and then there’s the couple who are the centre of it all…Adam and Rachel, who are the true Romeo and Juliet couple. The series has a fantastic cast, among it the faultless James Nesbitt and the pseudo-posh bloke Robert Bathurst who is always fantastic at playing the roles of arrogant posh twits! Maybe this series is too great to be analysed in great depth (because that will surely ruin its magic) but watch this space!! Here is the link to my music video, ‘Song to the Siren’ by This Mortal Coil. Please like and /or comment!